FRISCO, Tex. -- Dallas Stars General Manager Joe Nieuwendyk announced today that the club has hired former NHL player Gary Roberts as a player development consultant. Roberts, 44, has trained several young players during the past few off-seasons near his home in Ontario, including the Stars’ James Neal, Florida’s Stephen Weiss and Tampa Bay’s Steven Stamkos, among others. Roberts will be working with the Stars’ young players throughout the club’s hockey system, at both the NHL and developmental levels, in tandem with the club’s strength and conditioning team, coaches and trainers. 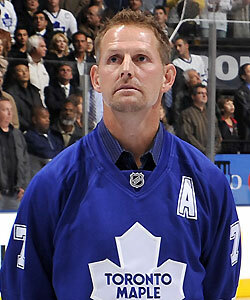 Roberts played 22 seasons in the NHL, scoring 438 goals and 471 assists for 909 points in 1,224 career games. Drafted by Calgary with the 12th overall pick in 1984, he played for the Flames, Carolina Hurricanes, Toronto Maple Leafs, Florida Panthers, Pittsburgh Penguins and Tampa Bay Lightning. Roberts retired as a player following the 2008-09 season.